Today am feeling soo light-headed, very fresh and relaxed even after 12 hours of work. That is not all. The icing on the cake is I have my hair smooth and shinny. I know guys you might envy me now. But peeps don't you worry today I'll share all my secrets with you. My mom and my Grand-mom have always been my first teachers in life. They have given me all the small bits and tricks which have helped me keep my hair so strong and shiny all these years. My mom used to oil my hair using Parachute oil. So now as monsoon has already set in and our hair tend to get dry and rough, so today I wanna give you a chance to win a special PARACHUTE hamper. Contest Alert: Share your interesting DIY hair masks recipes using coconut oil during monsoon, it could either be your own recipe or one you learnt from your mom or grand mom. Would be happy to see some images of the ingredients or a DIY hair mask video. 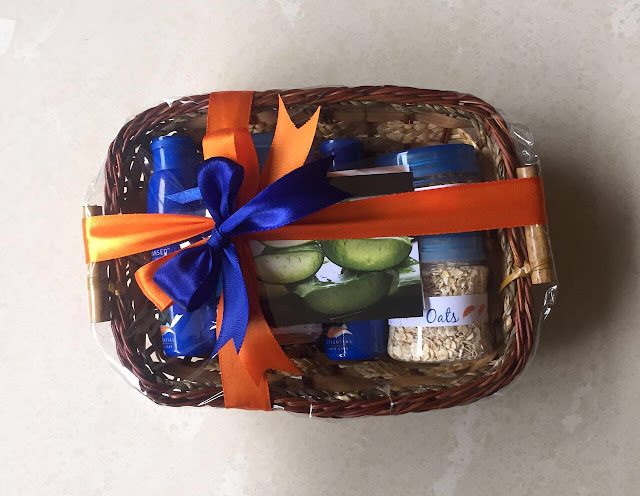 DIY hamper by Parachute Advansed Hair Oil. Contest Timeline: 6th Aug to 13th Aug. This giveaway is open on facebook, twitter and instagram and I’ll be choosing 2 winner. 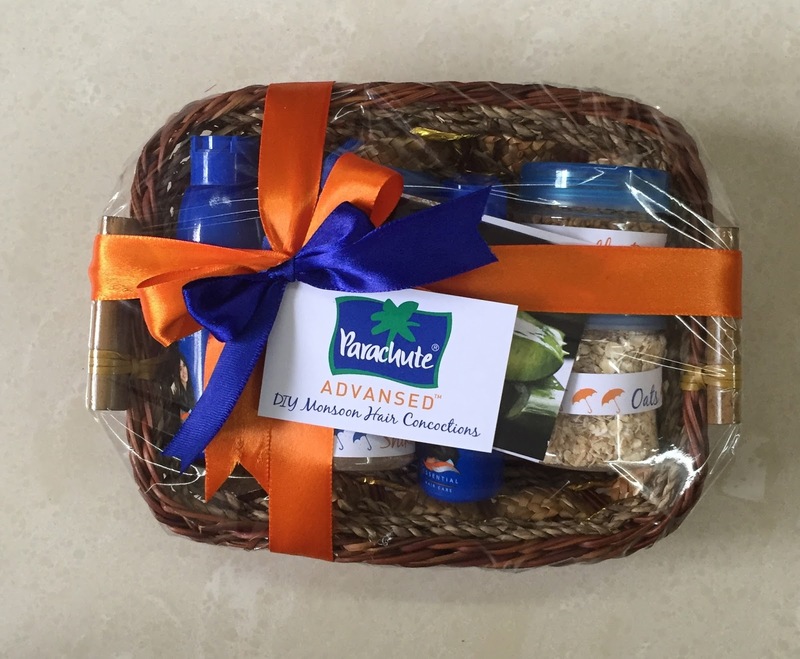 For Facebook contest: Follow Beauty Destination & ParachuteAdvansed. For Instagram contest: Follow fashiovoyage & ParachuteAdvansed. For Twitter contest: Follow @sugandhadixit85 & @Parachute_Adv. Share the giveaway using #ParachuteAdvansed and tagging me. If your hair is craving a solution to its monsoon hair woes like frizz, static flyaways and limpness, look no further than the hydrating goodness of Methi. Soak 2 tablespoons of Methi seeds overnight in 1 cup of water and blend into a paste the next day. Add the paste to ½ a cup of yogurt and 1 tablespoon of Parachute Advansed Hair Oil. Apply the hair mask to the scalp & hair ends, and leave it on for 30 minutes before washing it off. If you don’t want bad hair days to last the entire season, make Oats your hair’s best friend. It will trap the moisture in and tame the frizz out in a jiffy! Blend ½ cup Oats, 2 tablespoon of coconut oil, and ½ cup milk into a paste. Apply this hair mask to your scalp and you hair as well. These ingredients are enough for shoulder length hair. If you have longer hair, make sure you double it up! The rainy months of humidity leave your locks parched. Quench your hair’s thirst with Aloe Vera- a natural humectant that attracts moisture and restores your hair’s hydration from within. Blend in 3 tablespoons of Aloe Vera gel with 3 tablespoons of Parachute Advansed Hair Oil using a fork (for shoulder length hair; double up the ingredients in case of long hair). Apply the gel on your hair and scalp. You could even wrap your hair up with a hot towel for the oil to penetrate deeper and faster into the scalp. 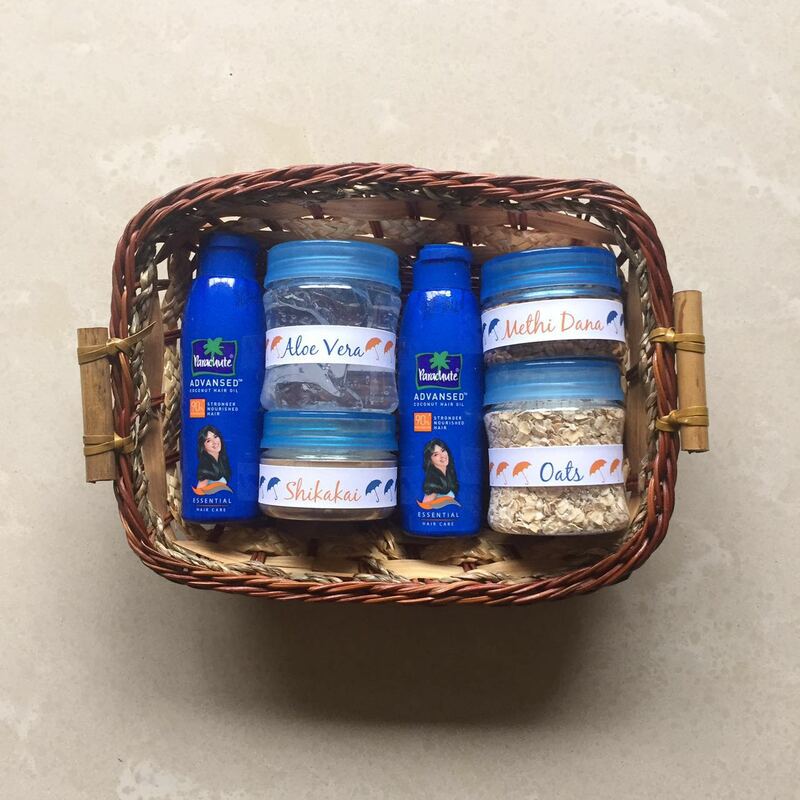 Make your hair strong from within with the Ayurvedic nourishment of Shikakai. With its strengthening, anti-fungal, and shine- promoting properties, no monsoon winds can stand a chance! Mix 1 tablespoon of Shikakai powder with 1 cup of coconut oil. Shake vigorously, and let the mixture rest for 2 weeks. Keep shaking it in the middle as well. After 2 weeks, your Shikakai oil will be ready to use. P.S. – Please note that you have to post your DIY idea and your facebook/instaram/twitter id as a comment here on my blog. Any comment anywhere else will not be considered as valid entry. And any personal messages requesting to choose someone winner will lead to disqualification. There is no doubt that in my childhood coconut oil was the only one oil for my hair. During my childhood I have a great volume of hair and behind those volume care of two involved. 1 my mom she always make powder of amla, shikakai and reetha and soak them over night so that I can wash my hair with that. And give a warm coconut oil massage during night. 2 coconut oil, amla, shikakai and reetha a hair care ingredients. Time passses and i got married then had a baby. After my baby i had a great hair fall then my made an amla oil. She fried dried amla in coconut oil and add content of vitamin E capsule. And asked me to massage it during night. This helped me a lot and regained my volume. I dont have great receipes but these few things gave me that what i want. I use my parachute coconut oil by heating it up little bit and adding some vitamin E from vitamin E capsules and my mumma massage it on my hair. Whenever I gets so tired, the massage really make me feel more relaxed. Parachute Advanced Coconut Oil is the one my family trusts.This simple hair mask consists of three ingredients: coconut oil, honey and apple cider vinegar. Both coconut oil and honey are known for its moisturizing and restorative properties. Melt the coconut oil until liquid. Add the honey to the melting coconut oil. If it’s cool in your home, you might try popping the honey in the microwave for a few seconds to warm it up. Next add the apple cider vinegar.Mix the ingredients well.Apply the coconut oil hair mask starting at the roots and move up to the tips of your hair. Once you get a section done, massage your hair with your finger tips to really get it in. Pile your hair into a bun and let it sit for 15-20 minutes, then wash with a mild and natural shampoo.And voila! This hair mask will give you smooth,shiny and healthy hair. Hope this DIY Hair Mask helps! Participated on Twitter (@ mansikakkar06) and Instagram as well (@ mansi_6).